The problem is that Floreen *has* been there since 2002. She *was* a member of the planning commision before that. Floreen is as much a part of the Democratic machine that has been running Montgomery County for decades as anybody. Her and Marc Elrich have worked in lock stop to help lead Montgomery County down the path to where it is now. If the Washington Post is going to hold Marc Elrich responsible for what the council has done, they should hold Floreen responsible too. None of what they said was false. But Ficker, who they didn’t mention is a former Delegate, is just as “notorious” for the ballot measures that he has petitioned to referendum, including the blockbuster term limits amendment that is forcing entrenched incumbent members of the County Council, like Marc Elrich and Nancy Floreen, out of office. The referendum passed in 2016 specifically because of the reckless policies that Montgomery County has undertaken over the last decade, which both Elrich and Floreen had a hand in implementing. Look I get it. 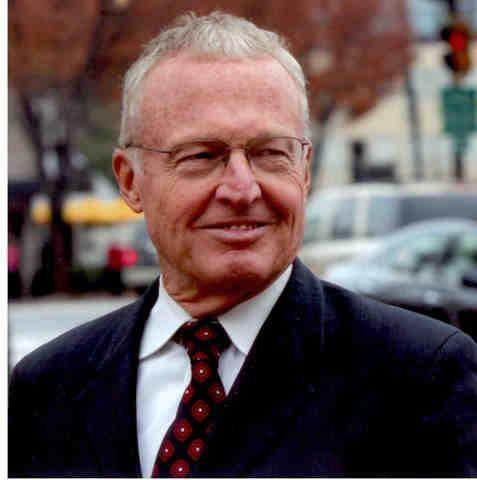 Robin Ficker rubs a lot of people the wrong way. That’s true not just of the Democrats, not just of the media, but of Republicans too. I think Robin would be the first to tell you that he’s not everybody’s cup of tea. But for the Post to dismiss Ficker as somebody who is “notorious” without mentioning the real accomplishments he helped make at the ballot box gives him the short shrift, especially when Ficker would change the way Montgomery County is run more than Elrich or Floreen could ever hope to change it.